These cops do the same thing we love to do, find weed and light it up. 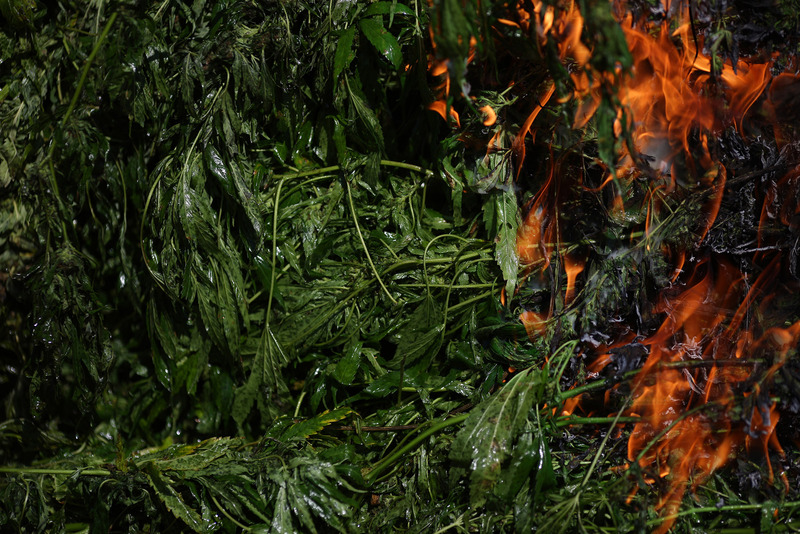 Check out these pics of cops burning illegal weed. What a cake walk it must be to serve as a plant eradication officer in Kentucky. Forget taking on bank robbers, or hunting killers. These cops do the same thing we love to do, find weed and light it up. 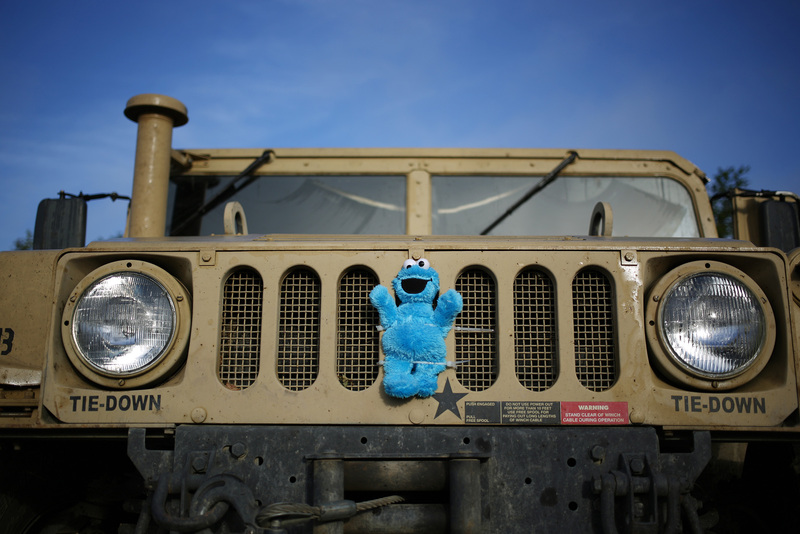 The differences, however, are a matter of intention… and scale. 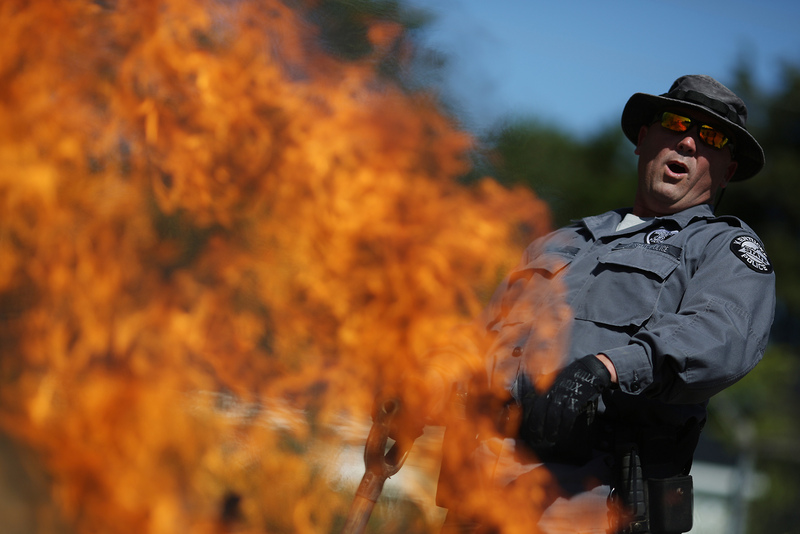 See what life is like for the Cannabis Suppression Branch of the Kentucky State Police as they burn illegal weed. 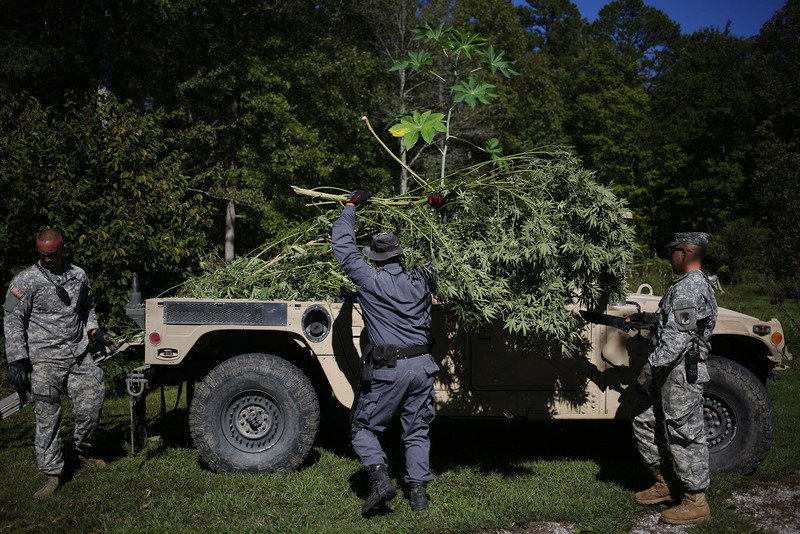 Piles of herb, worth over a million dollars, go up in smoke under the supervision of this Kentucky police unit. Rather than being used to help medical patients, or give people a safer alternative to alcohol or opiates, this fortune in flora does little more than provide an impressive weenie roast. While other officers face fire from criminals, these laid back law enforcement officers face fires of their own making, burning their finds and standing back to laugh. Nevermind that the plant is legal in over half the country, kills cancer and is 100% non-lethal. My cynical mind has to wonder if they might be using diesel fuel to burn Sour Diesel crops. Often, guerrilla grows are hidden in fields of regular crops. 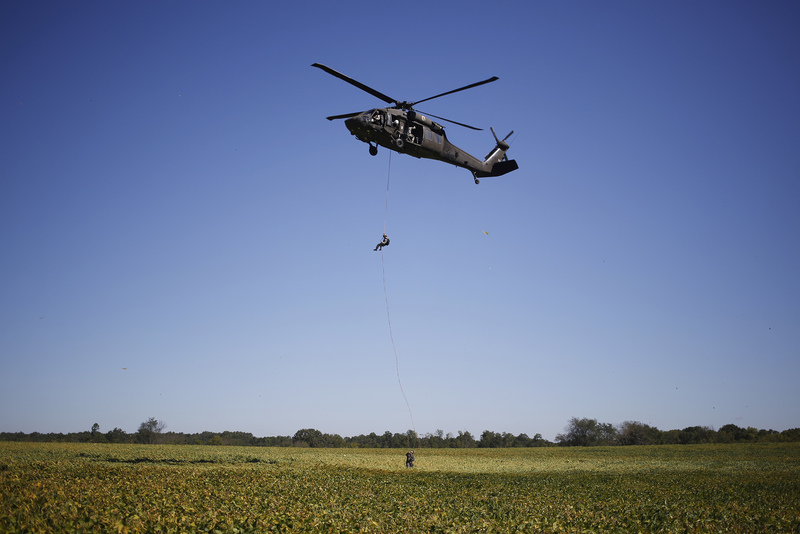 Rather than track in from the road, these troops drop in from the sky to prevent damage to the surrounding vegetation. Of course, the irony here is that land used to grow illicit crops can, and does, get seized by state and federal government under asset forfeiture laws in many cases. Though the crops might survive, the farmer may not be free to harvest them, or even own the land for much longer. 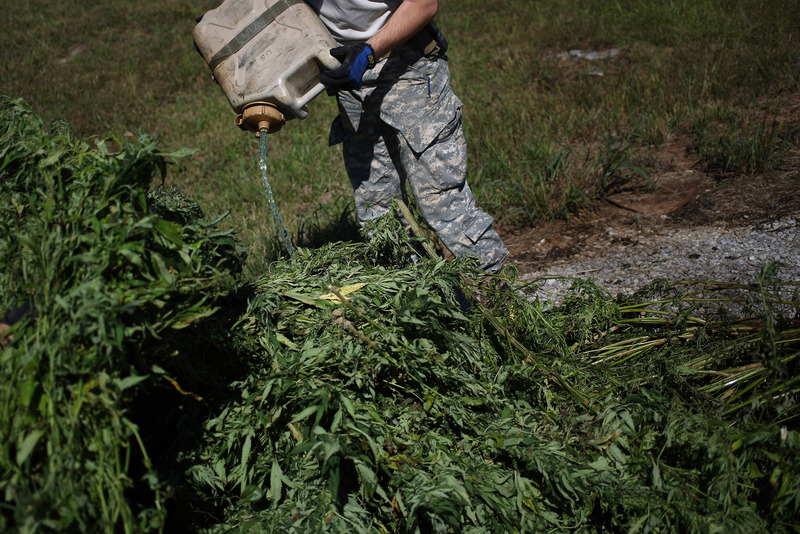 In 2009, Kentucky cannabis eradication forces destroyed 330,699 plants. They also arrested 483 growers and seized a whopping $966,078 in forfeitable assets. Those assets include bank accounts, cash, cars, homes, and property. Like a barbarian horde, they sweep down and pillage, loot, and destroy. Yet not only is this their job, but the get to keep part of the profits. Policing for profit, especially with the liberal application of asset forfeiture laws in America today, is a booming business. Steal from the taxpayers who pay your salaries, then throw them in jail so the remaining taxpayers have to pay an even bigger portion. Don’t expect these officers to feel the least bit sorry, either. If they made purple shoes illegal tomorrow, they would drag you off the streets faster than you can say ‘Footloose’. This is how they put food on their tables, persecuting their fellow man, and harmless plants. They will never feel the need to come to a moral reckoning until it is someone they know who direly needs this profound medicine. Then, and only then, will they suddenly want access to the one thing that might save that life. They say if you can’t play, coach. If you can’t do, teach. Well if you can’t hack the real duties of an officer, or get a better job, become a tax-funded crop picker. Our taxes pay for this, day in and day out. We pay the salaries of government employees who fall back on secure jobs because they can’t handle the pressure or responsibility of a private sector position. From Congressmen who hide behind oak panels for life to men and women who shame what it truly means to be a PEACE officer, we need to thin the lame from the herd. To those who chose to serve a meaningful purpose and good heart, speak up, and change the system from within. Are you an officer to truly serve your fellow man, or to make a living off their persecution over a plant? Are police suffering from the tarnished image of Prohibition laws along side us? Would we see less anti-police violence if they weren’t forced to uphold unjust laws to earn a paycheck? Sound off on social media or in the comments below.